GoPro Hero 7 Black image stabalisation? Toying with the idea of a new camera and really liking the look of the current 7 Black with the advanced image stabalisation, over going down the whole Gimble route... Anyone got one? The posted footage looks good but whats the real-world performance like? It's very good, but it's not magic. It reduces small shakes, vibrations, etc to a very impressive degree, but it can't remove big movements. Works really well on a bike for removing vibrations, but won't remove major tilting or yawing type movements. It's noticeably better than the Hero 6, which itself wasn't too shabby. In low light the stabilisation performance is significantly less effective. Depending on how rugged or weatherproof you need the camera to be, an alternative could be the DJI Osmo Pocket. Video quality on a par with the GoPro, audio marginally worse but it has a small mechanical 3-axis gimbal so the stabilisation (in all light conditions) is better than the GoPro. But it's more fragile and not waterproof. The new 360 cameras have very impressive stabilisation in the software you use for editing the footage, but they really need to be mounted on the end of a selfie stick to get the best out of them. I was looking at a DJI gimble mount for my old Contour+2 camera which I've been using for years and still works fine although the mic is knackered. Like you say, I'd been a bit put off because of the fragility of the things although they do work well, hence the interest in the software stability. ... hence the interest in the software stability. 3-axis gimble is better than software stabilisation, especially for removing big movements and in low light (at least as far as the GoPro 7 is concerned). But they are more fragile and not weatherproof, so you'll need to decide what is more important. I've got a Firefly, it is about 100 euros, it has 6 axis optical image stabilization. To be honest, it is pretty damn good and I wouldn't faff with a gimbal and I'm not rich enough to pay GoPro prices. @davidof, what is six axis optical image stabilisation? The first three axis in physics are the X,Y,Z, the fourth axis is time, but what are five and six? Because cameras are a three-dimensional tool, image stabilization systems need to work on up to six different planes to properly correct camera movement. The most simple camera shake will be directional shake; horizontal, vertical and forward/back shakes. 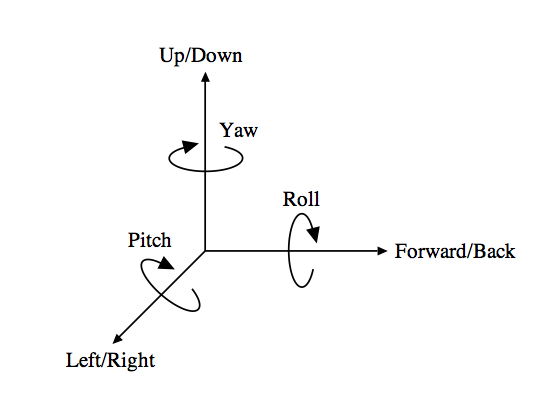 Rotational shake, or commonly referred to as pitch and yaw, control the horizontal and vertical rotational movements that can occur while handholding. I bought a gimble to use with my phone and found it a right faff to be honest. I was constantly having to be sure it wasn't pointing off to one side or at the floor/sky. Plus the phone can be struggle to focus where you want. Sports cams are simply the right tool for the job. Those DJI pocket ones look pretty useful but I'd be tempted by the 360 cameras or indeed the go pro black (if I could afford it).